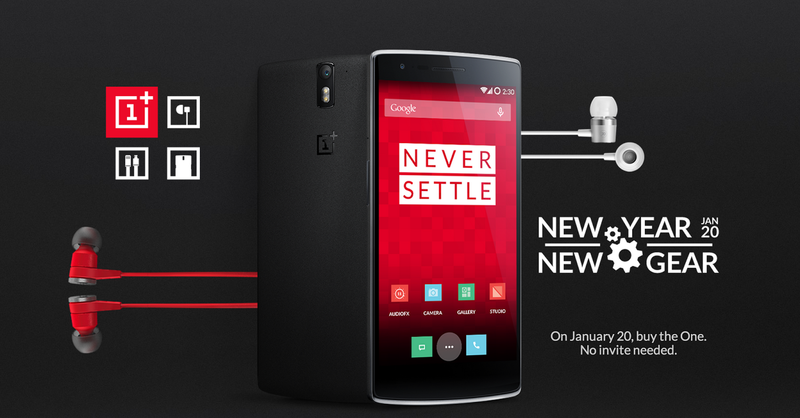 In light of the new year, OnePlus is giving you another chance to pick up a OnePlus One without an invite through their "new year new gear" sale if you haven't picked on up already. On January 20th, 2015, just visit their website between 7pm-9pm EST to pick one up for yourself. The prices remain the same; $299 for the 16GB model and $349 for the 64GB model.